Violet color. Rubbery, jammy, woody aromas and flavors of clove honey, strawberry preserves, black rubber, leather jacket and oak staves with a silky, crisp, dry full body and a polished, stimulating, medium-length finish with suggestions of raspberry jam, wood chips, hot chocolate mix, cremini mushroom, forest floor and birch bark with woody, barky tannins and light oak flavor. A true Napa Cabernet that will stand the test of time; decant. Bottom Line: A true Napa Cabernet that will stand the test of time; decant. 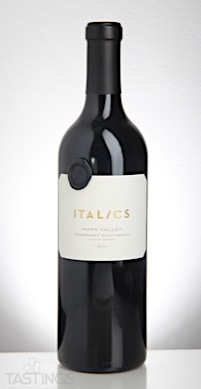 Italics 2014 Estate Grown, Cabernet Sauvignon, Coombsville, Napa Valley rating was calculated by tastings.com to be 94 points out of 100 on 3/28/2018. Please note that MSRP may have changed since the date of our review.